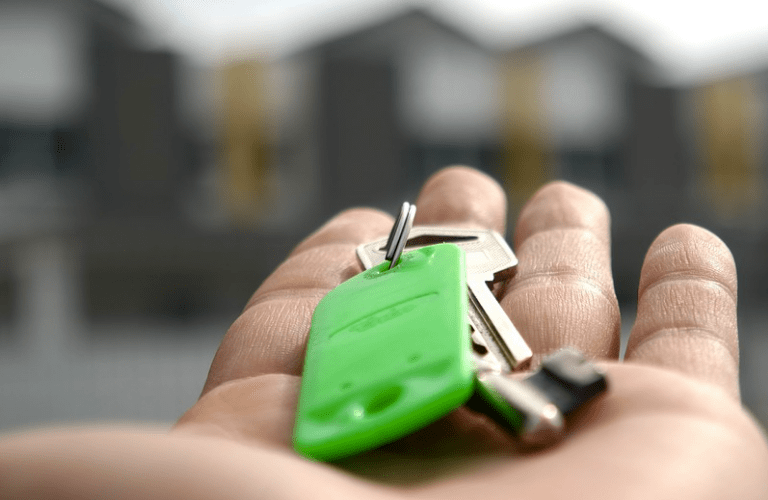 The entire process of buying a home can be challenging, and despite the continuously low interest rates buyers can currently take advantage of, the process is full of regulations and, in many cases, steep hurdles. That’s why it’s so important to find the top mortgage lenders that will provide you with funding. But how do you go about finding the top mortgage companies and the best mortgage lenders that can meet your mortgage needs? The first step to securing a mortgage is to understand a fundamental difference between mortgage brokers and banks. A mortgage broker is an intermediary that works with lenders and borrowers, as a wholesaler to help buyers obtain financing. Then, there are also banks and lending organizations that don’t utilize this “middleman” and instead provide retail-level financing to potential buyers. Mortgage brokers make up a significant percentage of all home loan originations. There are pros to this wholesale approach, including the fact that brokers can help applicants who wouldn’t qualify at a bank to obtain financing. With the wholesale approach to mortgages, the interest rates may also be lower. At the same time, when a borrower goes straight to one of the top mortgage banks, there are also advantages. For example, these top mortgage lenders tend to have a strong reputation because they are also often top traditional banks. If you attempt to obtain a mortgage through your existing bank, you have the advantage of already having a relationship with this institution, and it may also be faster and easier to verify your financial information when it’s held at the bank where you’re applying for a mortgage. The following list represents the top 10 mortgage lenders in terms of size and market share, as well as overall quality of products and service. This list includes the top mortgage banks as well options for top online mortgage lenders. Below, please find a detailed review of each mortgage lender on our list of top mortgage brokers. We have highlighted some of the factors that allowed these top-rated mortgage companies to score so high in our selection ranking. Bank of America has a history in the U.S. banking system that spans more than two centuries, as it started as the Bank of Nantucket. Bank of America was also responsible for implementing the first licensed credit card program which was called BankAmericard, later becoming Visa. It also featured the first banking department operated by women, specifically for women, in San Francisco. In 2015 and 2016, Bank of America remained as the fifth largest mortgage lender, with originations totaling around $16.5 billion. Key factors that led to the inclusion of Bank of America Home Loans on this list of the top mortgage companies and the largest mortgage lenders are detailed below. Bank of America has received complaints about its mortgage programs, particularly in recent years. That has been in large part because of the significance of Bank of America in terms of mortgage market share. When a company maintains dominance in one particular industry, there are going to be some complaints, simply because of the sheer number of customers they work with. At the same time, Bank of America has tried to make strides over the years to not just be recognized as one of the largest mortgage lenders, but also as one of the top 10 mortgage companies in terms of customer satisfaction. As part of that effort, they unveiled the Home Loan Navigator, an online tool integrated into the online banking platform. It’s designed to make the entire process of applying for and managing a loan easier. The Home Loan Navigator lets users log on to track the status of their application, upload documents, electronically sign and submit documents, receive disclosures and processing documents, and communication with their Home Loan team through secure messaging. A signature offering from Bank of America, the Affordable Loan Solution® Mortgage is designed to help buyers who want to reduce the amount of money they need for a down payment. This fixed-rate loan is specifically designed for low- and moderate-income borrowers, and it features a competitive rate, as well as a down payment that may be as low as 3%. The goal is to provide a viable home buying opportunity for qualified buyers who simply don’t have enough saved to make a larger down payment. Mortgage insurance is not required, but homebuyer education may be required for first-time buyers through a HUD-approved counseling provider. The maximum income and loan amount and loan limits vary based on location. Obtaining a mortgage can be a confusing and difficult process, but understanding mortgage basics can make the process much easier. As one of the best mortgage lenders, Bank of America strives to provide potential lenders with valuable information to help them make informed decisions on a mortgage. This includes answers to frequently asked questions and home-buying tips. These educational resources are particularly helpful for first-time home buyers, but can certainly provide value for anyone who is considering using one of the top mortgage companies. This top mortgage bank features the option to obtain government loan options from the Federal Housing Administration (FHA) and the U.S. Department of Veterans Affairs (VA). These government bodies offer government-insured mortgage loans, and they include features designed to make them easier to obtain for first-time buyers. Features include options to make low down payments, as well as flexible credit and income guidelines. The FHA loan includes no maximum income or earning limitations, and fixed-rate loans are available. FHA loan maximums vary based on location and county. The VA loan includes up to 100% financing, and qualified borrowers may not have to make any down payment. The qualification guidelines also tend to be more flexible than what’s seen with conventional loans. Chase is one of the largest and most significant financial institutions in the country, serving almost half of the households in America through mortgages, personal banking, credit cards, investment advice, small business loans and more. Chase maintains 5,200 branches and has $2.4 trillion in assets and global operations. Based on the number of loans provided to U.S. consumers, Chase is one of the largest mortgage lenders. In Q1 of 2016, Chase reported $22.4 billion in loans. Below are key reasons Chase represents one of the largest mortgage lenders, as well as one of the top 10 mortgage companies in general. One of the reasons Chase is often picked as one of the top 10 mortgage lenders is because of the broad lending options they provide. When consumers go with Chase, they can choose from different types of mortgage loans to best suit their personal needs. Mortgage options include 15- and 30-year loans, ARM mortgages, FHA mortgages, VA Loans, Jumbo Loans, and more. With each type of mortgage and all of the available options, Chase provides extensive information to help consumers make the right choice for themselves. With each of the available loans, Chase provides a list of the benefits, as well as the specific details that should be considered. As one of the best mortgage lenders, Chase aims to make homeownership and the management of a loan as simple and convenient as possible for all borrowers. Borrowers can schedule or make payments online, so they never forget to do it. Online banking services are available so borrowers can view their monthly statement, sign up to receive account alerts, and review their escrow account. Chase Mobile provides fingertip access to everything you need to manage your mortgage from a tablet or smartphone. In the aftermath of the Great Recession, which still impacts many Americans, Chase strives not just to be one of the top mortgage companies, but also to provide assistance borrowers may need if they experience hardships or difficulty in paying their mortgages. Mortgage assistance options from Chase include mortgage modification, which allows borrowers to change their mortgage terms to lower their monthly payment or interest rate. Also available is the option to sell the home for less than is owed, and the borrower can then pay a portion of the principal balance. Borrowers can release the property, which transfers ownership to Chase without a foreclosure process. Reinstatement is an option that allows borrowers to pay the total amount they own, by a specific date, to avoid foreclosure. The repayment plan lets mortgage holders pay back part of their past-due amount with regular monthly payments made over an extended period of time. With the forbearance plan, mortgage holders can make reduced mortgage payments or stop making payments for a particular period of time while they work to improve their financial situation. CitiMortgage is part of the larger CitiGroup, which is one of the world’s leading financial services company. Citi serves more than 100 million customers in 24 countries throughout the world. CitiMortage represents one of the top ten mortgage lenders throughout the country and also offers a variety of options, including pre-approvals and refinancing options. Borrowers can also visit the CitiMortgage website to locate various support resources if they’re already homeowners, or even to search for properties that are for sale. Factors often leading to the inclusion of CitiMortgage on rankings of the top mortgage companies and best mortgage lenders are listed below. CitiMortgage puts a lot of emphasis not just on helping applicants obtain a mortgage, but also on helping current homeowners find the support and assistance they may need during a difficult situation. The Citi Office of Homeownership Preservation was created to offer Citi homeowners simplified access to counselors and other professionals and organizations that could help prevent the loss of their home. It represents a partnership between the Citi foreclosure prevention branch of the business and Citi Community Development. There are also opportunities to explore the options available as a homeowner, apply for assistance, and resources to help owners avoid potential scams. CitiMortgage offers access to the Home Affordable Refinance Program (HARP), which is a government-sponsored program that helps owners who might not be able to refinance take advantage of the current low mortgage interest rates. It’s designed for homeowners who might not otherwise be eligible for traditional refinancing. It allows participants to obtain lower rates, even if they have little equity in their home and reduce their monthly mortgage payments. It also saves interest over the life of a loan, and no mortgage insurance is required if none is used with the current mortgage. Often, home buyers, particularly if it’s their first time applying for a mortgage, find that it can be a challenge to decide what option is best for them. The process can be confusing, and in order to help applicants avoid that frustration, Citi offers many excellent tools and resources, including the Citi Mortgage Selector. The Citi Mortgage Selector is a simple online tool that asks for information such as the type of property you hope to purchase, your expected purchase price, and location details. You can enter your financial information, including your credit score, and you’re then walked through a process that leads to a quote as to the terms and loan that are going to be best for you. Many of the useful and convenient tools offered by CitiMortgage are available online, and this includes the Online Mortgage Request. When you start your mortgage request online, you’ll be getting a head start toward achieving your goals. After this, a mortgage representative will contact the applicant to walk them through the process and make sure they’re getting the most competitive possible rate. You can expect about 30 minutes total required to enter your information, and applicants can save their information and complete the process at a later date if they choose. Flagstar Bank is headquartered in Troy, Michigan. What’s unique about Flagstar is that while it maintains traditional bank branches only in Michigan, it’s also one of the top mortgage originators in the country. As one of the best mortgage lenders, Flagstar holds retail locations in 21 states around the country, and the wholesale mortgage network includes more than 1,000 brokers and agents, with a presence in every state in the nation. There are almost 383,000 borrowers and nearly $80 billion in home loans that are part of the Flagstar business. Flagstar Bank is a subsidiary of Flagstar Bancorp, which is listed on the New York Stock Exchange as FBC. Critical reasons Flagstar is considered one of the top mortgage brokers and top mortgage originators are represented in the below list. Perhaps one reason that Flagstar is often ranked as one of the top 10 mortgage lenders is their dedication to providing extensive lending options at competitively low rates. 30-Year Fixed: With a rate of 4.134%, this loan is one of the most popular options for Flagstar borrowers. The interest rate that’s set at the time of closing is the interest rate that remains linked to this loan. 15-Year Fixed: At 3.250%, this option has a higher monthly payment but can allow buyers to pay off their loan more quickly and save in interest payments over the life of their loan. 5/1 Adjustable Rate: This 2.859% interest loan includes a fixed interest rate over an initial five-year period, and then the rate is adjusted on an annual basis, so it can be increased or decreased. FHA 30-Year Fixed: At 3.750%, the Federal Housing Administration insures this loan, and it boasts more flexible qualification requirements than many traditional loans. Flagstar strives to create an environment that’s understanding of the potential of financial hardships. They offer several financial hardship programs that are well-suited to a range of needs. Hardships can include job loss, reduction in hours or pay rate, illness or disability, divorce, or being called to active duty as part of a military reserve unit. To begin a financial hardship program, users simply upload the Uniform Borrower Assistance Form, and either fax or mail the completed application to Flagstar. Some of the hardship options available include forbearance, repayment, partial claims, modifications, mortgage release, and short sales. As well as being one of the top mortgage brokers for new buyers, Flagstar also features home equity solutions, designed to help borrowers maximize the value they derive from their home. A home equity line of credit is designed to help borrowers obtain financing as needed, much like using a credit card, and it’s good for emergency costs or periodic expenses. A home equity loan helps homeowners take advantage of the equity in their home, and it includes fixed and convenient payments through the life of a loan. Funds can be received as a lump sum, and a variety of loan terms are available. The interest paid on this loan may also be tax deductible. This adjustable-rate loan program is designed to offer qualified doctorate medical professionals with deferred student loans the opportunity to purchase or refinance a primary residence, without having to go through the typical qualification obstacles that arise from having student loan debt. This adjustable rate mortgage allows for balances ranging from $471,001 to $3 million and is available with initial fixed rates of five, seven, or 10 years. These products typically require at least a 20% down payment. This subordinate-lien, close-end, fixed-rate loan must be closed concurrently with a Flagstar Bank conventional, agency-eligible first mortgage. This mortgage is designed for the purchase of homes between $525,000 and $5 million, and a minimum 20% down payment is required. LendingTree is unique from many of the names on this list of the top mortgage companies because it’s actually a lending exchange that’s based online. Rather than serving as a top mortgage originator, LendingTree is one of the top mortgage brokers. LendingTree was launched by Doug Lebda in 1998, and its headquarters are located in Charlotte, NC. 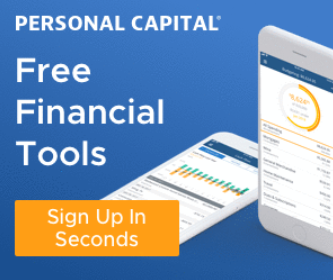 This online marketplace represents one of the largest lending networks in the U.S., and consumers can fill out one form and then shop and compare loans. Along with serving as a top mortgage broker, LendingTree also offers the opportunity to shop for auto, personal, business, and student loans, as well as credit cards. Below are some key reasons LendingTree is included in this ranking as a top mortgage broker. Perhaps the number one reason LendingTree has been able to grow and thrive over the years not as a top mortgage lender but as an online marketplace is because of the simplicity and ease-of-use this model delivers. This service connects borrowers and applicants with multiple lenders, and from anywhere, these applicants can fill out a single form. The online application is straightforward, and after filling it out, users are connected with multiple lenders who would be a good fit for their needs. Applicants receive offers in a matter of minutes, and LendingTree can also be used to evaluate these options without affecting your credit score. 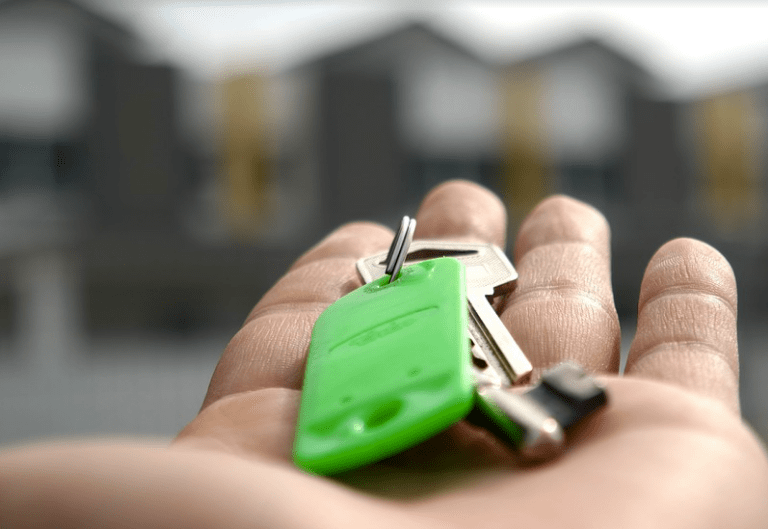 No matter the type of home loan product you’re searching for, LendingTree is likely going to be able to connect you with the top mortgage companies quickly and easily. As one of the best mortgage lenders, LendingTree is a unique marketplace, and it includes a feature that many borrowers find advantageous, which is the provision of lender ratings and reviews. LendingTree users can not only gain easy access to the top mortgage lenders, but they can read in-depth reviews of mortgage providers from real customers. There are not only detailed reviews but also star ratings given to each company, and users can search lenders by name or by type. They can also sort lenders by relevance and by state. It provides a real-world view of how customers feel about lenders, so they can weigh the true pros and cons of working with a company. Available on LendingTree are convenient calculators that help consumers determine whether or not they’re making the right choices regarding a home loan, as well as how they’re doing when it comes to achieving their personal goals. For example, the Mortgage Negotiator is a tool that lets users find out whether or not they’re getting a good deal on their Good Faith Estimate. They enter a few details of their situation, and their estimate is instantly compared to hundreds of offers, so they have the peace of mind that comes with knowing they got the best possible deal. Other calculators include a general Mortgage Calculator, a Home Affordability Calculator, and the Mortgage Checkup calculator, which identifies whether or not it’s possible to save money on a current mortgage. With two decades of experience, Nationstar Mortgage is recognized as one of the largest mortgage lenders. 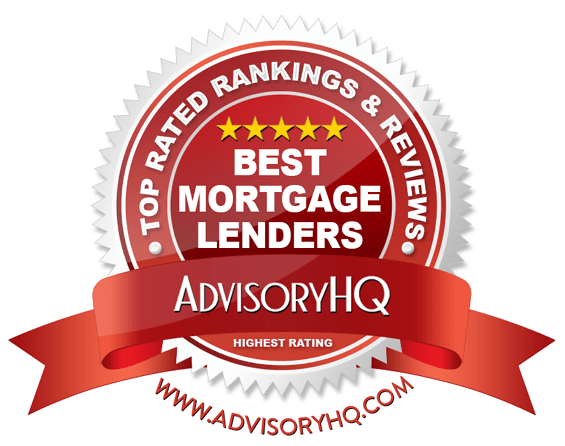 As one of the top mortgage lenders, they have been recognized as a leader in quality customer service by SQM Group, and is rated as a 5-star Fannie Mae servicing company. Nationstar is headquartered in Texas but maintains offices around the country. Along with loan servicing, Nationstar also features origination and transaction-based real estate services. Below, please find a list of reasons why Nationstar is included on our list of the top 10 mortgage lenders. Nationstar operates with a foundation based on an understanding of the inherent intimidation factor that can come with obtaining a mortgage or home loan product. The company works to alleviate that sense of stress by linking borrowers with expert mortgage professionals, who walk buyers through each step of the process. The belief is that a positive mortgage experience is one that emphasizes competitive terms on loans, simplified paperwork, and trustworthy guidance from professionals with experience. There’s no doubt that obtaining a mortgage can be an overwhelming conglomeration of paperwork and procedure. Part of what makes Nationstar one of the top mortgage lenders is that they strive to make lending simple and straightforward, even after obtaining a mortgage. For additional assistance, borrowers can utilize free calculator tools for estimates on mortgage payments, refinancing options, maximum loan amounts, payoff times, and more. As compared to many of even the top-rated mortgage companies, Nationstar has some of the most diverse home loan options, designed to meet a range of requirements and goals. Fixed-Rate Loan: This keeps the principal and interest portion of a loan the same over the years. Adjustable Rate Loans: These may include lower rates during the initial years of a mortgage, and they can be ideal for buyers who plan to move on within a few years. FHA: FHA Loans are insured by the federal government and boast flexible requirements. VA/Military: Nationstar specializes in lower and fixed-rate options that are available to qualified servicemembers and their families. Jumbo: These loans are for larger mortgages and include fixed and adjustable rate options. USDA: These loans are for rural property owners. Nationstar has grown to become one of the top ten mortgage lenders for many reasons, including their commitment to offering an alternative approach to obtaining a home loan. Nationstar combines the newest in technology and innovation for an efficient experience, but this is also backed by a team of employees who are among the best in the industry. The process begins online with an application, but then there is a specialist who takes over to work with borrowers through each step of the way. As one of the top mortgage lenders, Nationstar is committed to alleviating misinformation and red tape, while also making sure their borrowers find the home loan that’s in line with their budget. PHH Mortgage is a provider of mortgage services with operations across the U.S. As a top mortgage lender, PHH is recognized as the fifth largest originator of retail residential mortgages, the seventh originator overall, and the ninth largest mortgage service. In 2015, PHH reported the closing of around $41 billion in mortgage financing, and an average servicing portfolio of around 1.1. million loans was maintained. PHH has remained dedicated to helping customers obtain home financing for more than 20 years. When comparing the top mortgage originators and the top-rated mortgage companies, below are some reasons PHH Mortgage is included in this review. Unlike many of the top mortgage banks included on this list, PHH stands apart because the provision of home loans and financing solutions are their sole focus. Other lenders may have diverse business areas, but PHH only works on mortgages. The loan consultants at PHH specialize in helping consumers find the right home lending options for their needs, and they’re so confident in the service they provide that they offer a guarantee. The guarantee states the loan will be closed by the agreed upon date, or the customer receives $500. When a consumer opts to work with PHH, they’ll enjoy the benefits of a technologically-driven experience that promotes efficiency. Customers can get a head start on the home loan process by completing an online form that includes information about the property they want to purchase or refinance, residence history, employment history, and bank and asset information. Once this is completed, the consumer can then print the confirmation page, which will include a Loan Reference Number, and they can then contact a loan specialist to begin working. It streamlines the entire loan application process, which most customers appreciate. One of the many reasons PHH Mortgage is included on this list of the top ten mortgage lenders is that they’re dedicated to being a holistic resource for borrowers. Rather than just providing loans, PHH also strives to offer information, resources, and guides that can help borrowers make the best possible decisions. These resources are tailored not just to the needs of first-time buyers but also buyers who have already purchased a home, and those consumers interested in refinancing. Some of the tools and resources offered by PHH include calculators, guides that explain the different loan options, and articles on topics including mortgages and financial decisions. There is also a guide on Frequently Asked Questions regarding mortgages and refinancing. As mentioned above, PHH is an excellent resource not just for a first-time mortgage but also for consumers who want to refinance an existing mortgage. PHH offers the resources borrowers need to move successfully through each step of the process, including weighing the pros and cons to determine if this is the right decision for them. PHH highlights details of the refinancing process, benefits of lowering monthly payments, and what consumers should carefully consider before making a decision. Then, consumers can move on to see how low their payments can become, explore debt consolidation options, and also the general loan options they may have available to them. Rated “Highest in Customer Satisfaction in the U.S.” by JD Power for seven years in a row, Quicken Loans is one of the top mortgage lenders to choose from. As one of the top online mortgage lenders, Quicken features a range of products, as well as fast and efficient service and an excellent reputation both in the industry and among consumers. When considering the top ten mortgage lenders, below are some reasons Quicken is often considered not only a top online mortgage lender but one of the best overall. Customer satisfaction is perhaps one of the most important reasons Quicken was included on this list of the top mortgage lenders in 2017. This is important because even though other names on this list might represent the largest mortgage lenders in terms of market share, they might not have excellent customer satisfaction scores. Quicken is able to excel in both areas. J.D. Power has ranked Quicken as having the highest customer satisfaction among primary mortgage origination companies for seven consecutive years and for mortgage servicing for three years in a row. A critical part of being a top online mortgage lender is the ability to deliver a seamless, efficient process. The loan process at Quicken is one that meets these standards and is also transparent. Let Quicken know how you’d like to be contacted, and then you’re matched with a Home Loan Expert who will walk you through the process, understand your goals, and make sure you have clear expectations based on your unique situation. Your credit is then reviewed. You create a MyQL account once Quicken has your credit score, and then the process to find the right loan begins. You receive a good faith estimate, and once you agree to that, your application is prepared, as is your deposit. This can all be done online. Your loan is then prepared for underwriting to verify all of the information you provided. Quicken strives to work as quickly as possible. Then, your property is appraised. Finally, your loan is closed. An exclusive offering from Quicken, the YOURgage loan offers terms that the consumer decides on ranging from eight to 30 years, all of which have fixed mortgage rates. With this loan, consumers can also refinance up to 97% of their primary home’s value, and a home can be purchased with as little as 3% down. Loan amounts vary from $25,000 to $424,100. The advantages of this loan are flexibility and the ability to pay off a mortgage more quickly. 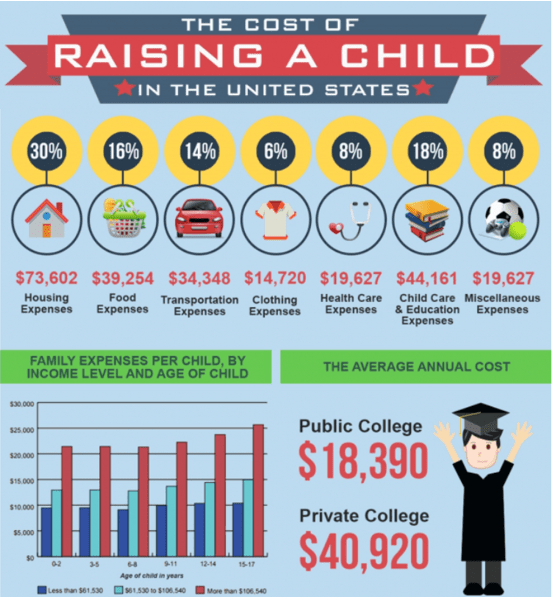 It’s also based on your financial needs and budget, and the terms can be matched to life events, such as sending a child to college. Rocket Mortgage is another signature offering from Quicken designed to offer fast, powerful, and fully online loan processes. With Rocket Mortgage, consumers can eliminate all of the paperwork traditionally required to launch the loan process, which not only saves time but also improves accuracy. Customizable mortgage solutions are offered based on current rates, and approval happens in a matter of minutes. One of the country’s top mortgage lenders based on market share, U.S. Bank is based in Minneapolis and currently maintains $446 billion in assets. U.S. Bank operates 3,106 offices in 25 states, and this full-service financial provider features not only mortgages but also banking, investment, trust, and payment services. U.S. Bank offers a variety of mortgage options that include conventional fixed-rate loans, ARMs, VA loans, jumbo loans, and also options for new construction and investment properties. The following details highlight some of the reasons U.S. Bank was included on this list of the top 10 mortgage lenders. U.S. Bank strives to make the entire mortgage process as simple as possible for borrowers, and this includes the process to prequalify. U.S. Bank provides an easy-to-understand prequalification checklist that includes your name, current address, estimated annual household income, and estimated monthly household debt. Then, your debt-to-income ratio is assessed based on mortgage guidelines, and you receive an estimate of how much you might be able to borrow. U.S. Bank also provides a prequalification letter, which can help demonstrate that you’re a serious buyer. This is optional but also helpful, and it’s something many customers find advantageous when dealing with U.S. Bank. For some consumers who want to obtain a mortgage, going with a top online mortgage lender might be what they prefer. On the other hand, there are also going to be consumers who prefer working with a loan officer in person. This face-to-face interaction and guidance can make customers feel more comfortable with the process. This is where U.S. Bank would be one of the top mortgage lenders to consider. As one of the best mortgage lenders, U.S. Bank has a presence all over the country, and borrowers can use an online map search tool to find a loan officer near them and can help them throughout the process. Some advantages of working with U.S. Bank as one of the top mortgage companies include the reliability and stability that come with this well-established company. Additionally, U.S. Bank puts a significant focus on the delivery of competitive interest rates, particularly for very qualified buyers. 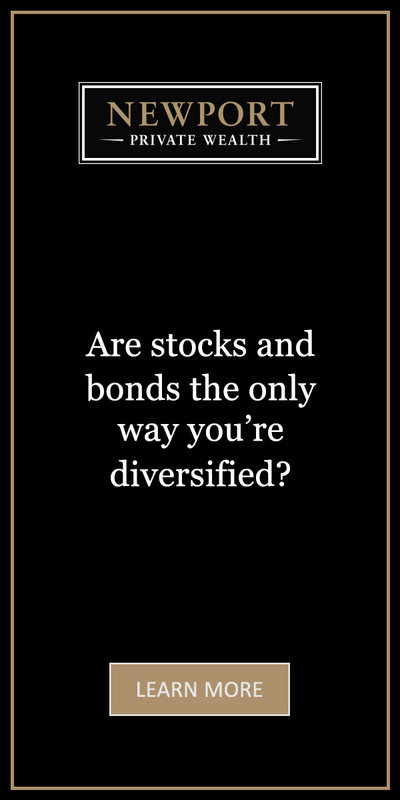 For example, current rates on a 30-year conventional fixed-rate mortgage are 4.625%, and for a 15-year fixed-rate mortgage that goes down to 3.875%. This doesn’t include mortgage discount points that can be purchased at closing, which may further reduce interest rates. In an effort not just to be one of the top mortgage lenders, but also to be a well-rounded resource for buyers, U.S. Bank features special tools and content just for first-time buyers. U.S. Bank strives to make the first-time buying experience one that’s rewarding and as simple as possible. Wells Fargo is a full-service financial services provider based in San Francisco, boasting a history that dates back more than 160 years. In 2016, Wells Fargo distributed $964.1 billion in average loans, and along with mortgages, also provides traditional banking, insurance, investments, and commercial financial services. There are over 8,600 Wells Fargo locations, and 70 million customers are served. In terms of mortgages and home lending, Wells Fargo offers a range of flexible solutions whether a consumer wants to buy a home, improve their existing home, refinance their current mortgage, or use the equity they have in their home. Listed below are key factors that weighed into the inclusion of Wells Fargo on this list of the top mortgage companies and the top 10 mortgage lenders. YourFirst Mortgage℠ is an offering available exclusively through Wells Fargo, designed to make home buying accessible even with a down payment as low as 3%. Wells Fargo highlights their goal of helping more people buy a home of their own without a large down payment. Borrowers can receive a conventional fixed-rate mortgage with a low down payment, and Wells Fargo will also help borrowers find down payment and closing cost sources to assist them. Borrowers can qualify with rental income, or from someone who lives with them but isn’t a borrower. Credit history can be demonstrated from sources like rent, tuition, and utility payments, and borrowers can qualify with no area income requirements. YourLoanTracker℠ is an online tool offered by Wells Fargo that lets applicants and borrowers track their loan progress at any time from their computer or mobile device. It provides the tools to stay on top of your loan, and it includes a convenient to-do list showing the next steps you should take as a borrower, as well as the next step the bank will take. It can also be used to upload required documents and review disclosures immediately, as opposed to waiting for them to be delivered via traditional mail. It’s a great tool to stay informed and streamline the entire lending process. Along with market share and generally being one of the largest mortgage lenders, Wells Fargo was also included on this list of the top mortgage lenders for their many signature loan programs. One of these is the Relocation Mortgage Program®, which is available for primary residences and is designed for borrowers who are relocating at the request of their employer. This loan requires that you are moving at least 35 miles from your current home, and it includes a personalized consultation with a relocation mortgage consultant to explore your financing options. Participants can also choose from a range of fixed-rate and adjustable-rate loan options, including renovation, jumbo, new construction, and FHA/VA programs. It lets realtors and sellers know you’re a serious buyer thanks to the PriorityBuyer preapproval, and it includes flexible payment options to schedule automatic monthly withdrawals. Purchasing a home represents the single largest investment and overall decision a person or a family will ever make in most cases. It’s not something to be taken lightly, and the mortgage lender you work with, as well as the terms of your loan, will impact your life and your finances for many years to come. Most homebuyers are seeking top-rated mortgage companies that are transparent, trustworthy and accountable. When ranking the top mortgage brokers and the top mortgage lenders, also important are reputation, customer satisfaction, and the diversity of available loan products. All of these criteria, as well as overall market share, were included as critical components in the ranking and review of the above top 10 mortgage lenders, which includes top mortgage brokers and the top online mortgage lenders.